A federal high court in Lagos yesterday sentenced three suspected Boko Haram terrorists to 25 years in jail with hard labour. 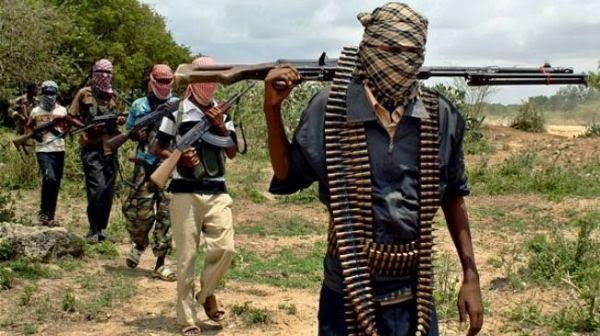 Ali Mohammed, Adamu Karumi and Ibrahim Usman were the individuals sentenced for “conspiracy to commit terrorism, illegal possession of firearms, and being members of a proscribed organisation,” ThisDay reports. The convicts were among 17 others, who were charged before the court in November 2013. However, the case against the other 14 was dismissed as a result of inadequate evidence. According to reports, the accused persons were caught in Lekki Phase 1, in possession of two suitcases containing explosives, a water container filled with explosives, 200 rounds of 7.6 millimetres live ammunition, three packets of explosive construction pipes, 15 detonators, 11 AK47 rifles, and other ammunition.